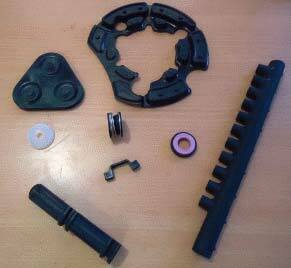 We are engaged in manufacturing, exporting and supplying of Engineering Rubber Components from Tamil Nadu, India. Our Rubber Components are fabricated in our fully equipped unit under the watchful guidance of skilled professionals. We ensure customer satisfaction by checking the components on stringent quality parameters before the final delivery. Buyers can count on us for delivering any order of Engineering Rubber Components within the postulated time.